Western Computers had long combined retail and Office space at their store at Victoria House near Temple meads in Bristol. Avent was contacted when management had decided that the store’s Office space needed to be separate to the store itself. 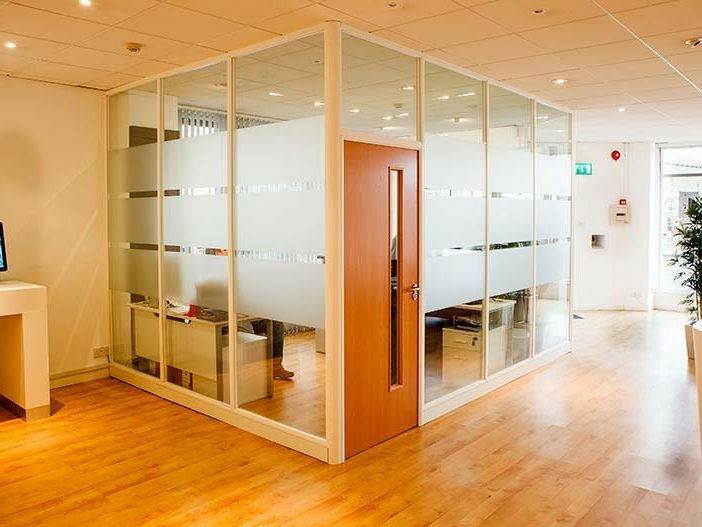 Carrying out a site survey and establishing their needs, we recommended the use of Demountable Glass Partitions to solve this issue. Privacy for both staff and customers. White framework used to match existing colour scheme. 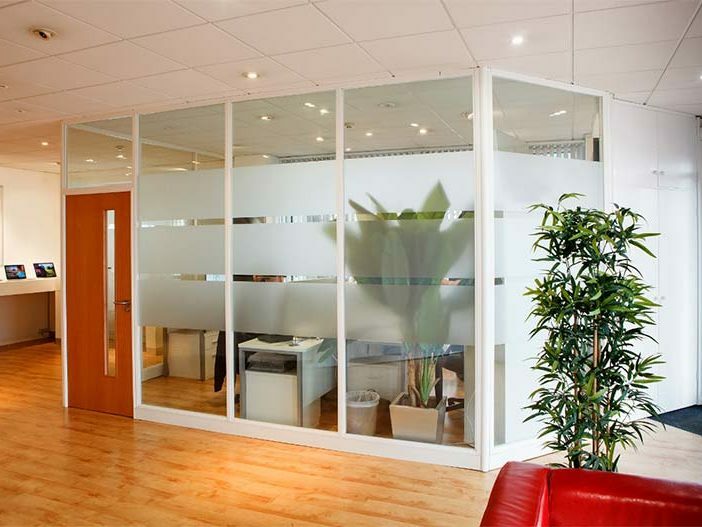 Framed glass partitioning was used to create new office space. 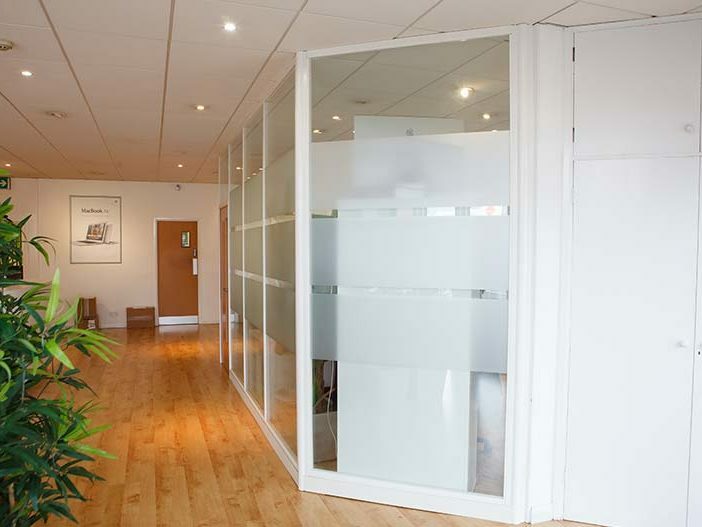 Full height glass used to provide sense of space and transfer of natural light. Glass manifestations bands fitted as part of install. Work completed within retail environment. Western Computers Bristol store now benefitted from partitioned office space that would provide both privacy for staff and shoppers with an improved shopping experience. The use of glass allowed for natural light to pass through into the store, whilst also retaining the feeling of space within the retail unit. Western Computers are an Apple Premium Reseller with six stores throughout England. Their enthusiasm for Apple products is shown through great customer service and knowledge of the Apple product range.